Republicans think they can knock off another majority leader in Harry Reid. Erick Erickson thinks Danny Tarkanian is the best man to put in that seat. Are Nevada Republicans following along? Mason Dixon polled the race for the Las Vegas Review-Journal, and it could hardly be a closer race between the top three contenders. Sue Lowden, the frontrunner and candidate Erickson came out against, currently leads at 30% statewide (MoE 4.5), with support peaking in Clark County and dropping in rural areas. 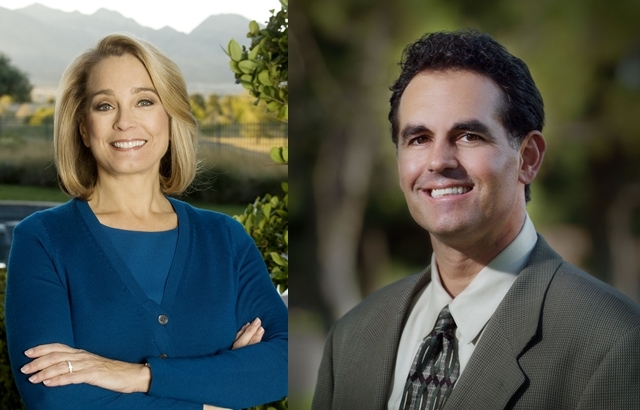 Sharon Angle edges into second at 25%, with a clear rural lead at 36% and a good Washoe County showing at 32%. She does best where Lowden drops off. Erickson’s favorite Tarkanian on the other hand has steady support statewide, slightly better in Clark county than the rest, but not by much. However that steady support is slightly lower than the other three, clocking him in third at 22%. He fails to defeat either of the top two women in any category in the poll: Men, Women (where he falls below 20%), and the three regions listed. Tarkanian has work to do, as Lowden has a clear 82% chance of being ahead of him per this poll alone, and this poll has Angle somewhat comfortable in in second place with a 64% chance of topping him. But with the election just under four weeks away, an eight point deficit appears surmountable if RedState wants to notch another primary win over the frontrunner as the site did in Florida and Utah. Though of course, I could be biased on that point. Mark Levin and Erick differ on this one. Levin endorsed Angle a few weeks ago. No skin in the game on my side. I do think Levin has been quite forward with his endorsements this year. Always risky to take sides when you are a public figger, as Erick and Levin certainly are. Me, I’m a Chris Christie Republican. I have to wonder if Erickson would have still backed Tark if he had endorsed after these results were known. He endorsed Angle in her congressional run, and his latest post on why he still prefers Danny doesn’t seem to have an awful lot to go on. The major difference between the 2 is that Angle has a long record of accomplishment in conservative politics and advocacy whereas Danny has but one previous campaign and nothing really in the way of accomplishments.